from the Warehouse in Sweden. This intrigued me for multiple reasons. 3. 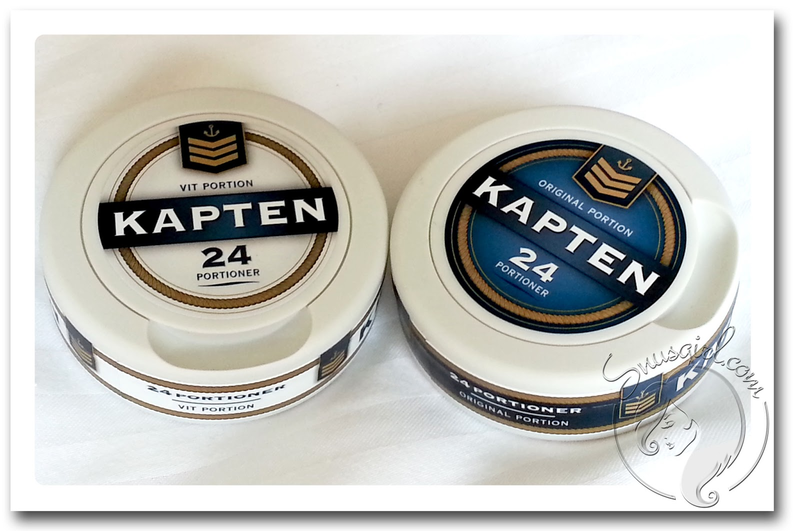 I'm always up for new flavors and a different take on the snus market. I don’t know if it’s just pure curiosity or if I am really looking for a new favorite to add to my line up. I’m guessing it’s kind of both…life would be pretty boring without snus. I'm noticing a theme here with AG snus, a water based theme that’s adventurous and oceanic! First the Blue Ocean, with light blue portions and now a range of Kapten snus that is a total polar opposite in both flavor and texture, but still with the nautical theme. Turns out AG has many brands now including Blue Ocean, Kapten, Jagarpris, and INK (more reviews of those to come). The first thing I love is the packaging. AG really knows how to run with their theme and I guess because of their limited brand supply, they can afford to be a little more creative then somebody like V2 who relies on sales volume and diversity of product line. The white tin is very striking and the blue and gold strip is instantly Navy. I would love to say that the insignia on the label is a genuine Danish Naval officers ranking colors but alas its not. (I already checked it out! Lol) But its still cool anyway and on our boat trip it was the perfect accompaniment. The taste is very subtle. All the bouquet of the bergamot is totally lost in the mouth and instead you are left with a salty ocean taste with a slight floral hint. Not bad…not bad at all but definitely not the Wallis Simpson-earl grey punch I was looking for. One thing I really love about these portions is that there is NO DRIP! I mean at all, even after an hour and a half, still nothing, and it’s not as if they are dry and harsh on the gums. The portion material is very soft and comforting but its different from any other brand on the market. Its very thick, almost like a linen, with a slight moisture content that keeps the whole mouth environment dry and habitable. This also seems to be a double edged sword. Because of the thickness it takes a long time for nicotine absorption to happen and the taste is not as readily available like other portions. There is always a compromise in life I guess. A runnier portion and thinner paper provide excellent taste and nicotine hit, but definitely don’t last as long. 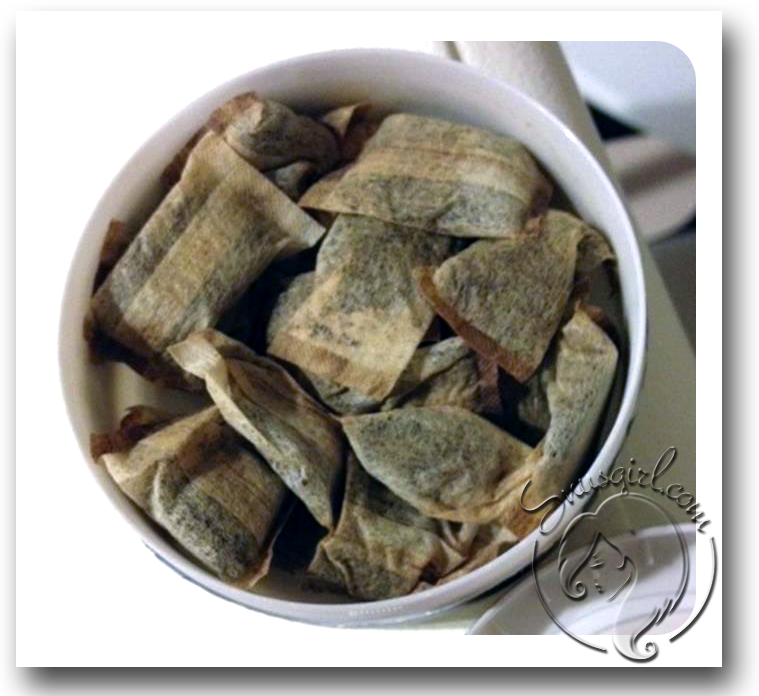 If you are really hanging for nicotine this is not the portion for that, but if you have been topping up during the day and want something relaxing and comforting then Kapten is for you. The nicotine level is a regular strength at 8mg. After doing nothing but Jakobssons strong and thunder frosted all week, I had to slowly wean myself off with weaker portions so I can appreciate regular strength snus again. 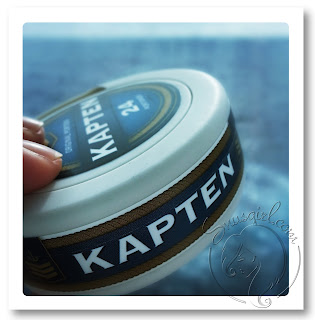 Kapten is not everybody's cup of earl grey tea (har har!) but some will appreciate its subtle flavors and longevity. I already have a plan for it. I will be doing a lot of air travel this year with trips to Canada. I will put my cans in the freezer now so i can enjoy Kapten awesomeness during long flights of intermittent sleep, where spicy tobacco drip is not optimal.